Facebook Changes "Become a Fan" to "Like"
According to my Facebook Fan Page, there some changes on the horizon. 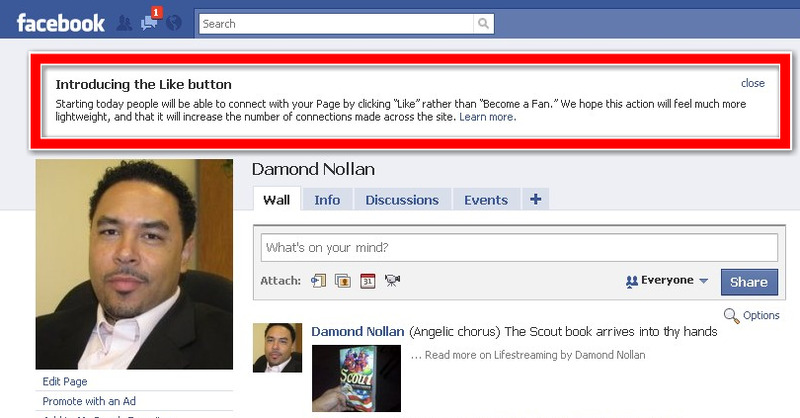 More specifically, Fan pages will become just "Pages" that people "Like." In the white box (see image), the following message reads, "Starting today people will be able to connect with your Page by clicking "Like" rather than "Become a Fan." We hope this action will feel much more lightweight, and that it will increase the number of connections made across the site." Personally, I never felt comfortable with the word "Fan," so this alteration should help ease the awkwardness of asking friends, family, coworkers, and classmates to join my public community. What do you think about this change from "Fan" to "Like"?